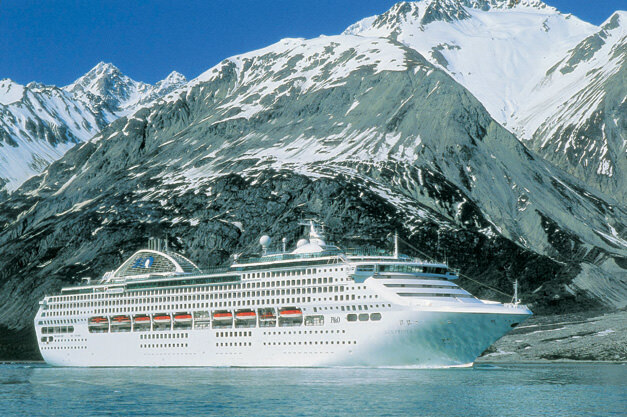 When the Sun Princess was introduced in 1995, it was for a short while the largest cruise ship in the world—which is rather remarkable considering that at 77,000 gross tons, it is today one of the smaller ships in the Princess fleet. 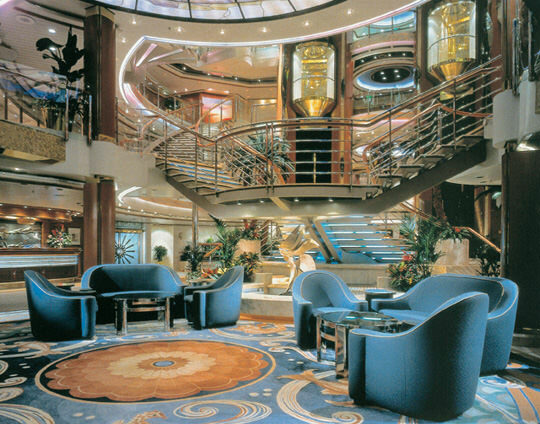 The Sun Princess was also the ship that introduced “Big Ship Choice, Small Ship Feel,” setting the standard for every ship in today’s Princess fleet. The Sun Princess has also become something of a pathfinder for Princess, helping the line to open up new markets and destinations. An unusual feature that sets the Sun Princess apart from its larger cousins is the design of its private verandahs. Nestled within the superstructure, balconies are effectively shielded from the elements; this makes the Sun Princess an excellent vessel for all-weather Australia cruising, where she can be found sailing year-round. While not as glitzy or amenity packed as many larger ships, the Sun Princess is instead rather intimate and cozy. Décor is very tasteful wherever the journey may take you. Inside there’s an abundance of wood, marble, and etched glass. Public rooms are appointed in light color schemes with a variety of fabrics. Outside there’s a real teak promenade deck. It all adds up to a ship that looks and feels like a ship. Dining offers a number of choices too. Sit-down meals are available in Traditional or Anytime varieties between two main dining rooms. The Horizon Court buffet serves as a casual alternative and also is the venue for the steakhouse alternative, which may be indoors or out on deck depending on the destination. A sit-down pizzeria provides another alterative dining option for snacking or casual dining. Despite its relatively smaller tonnage, the Sun Princess still manages to offer three pools—two amidships and one at the stern—just like the larger Princess ships. A nicely proportioned spa and fitness center, computerized golf simulator, and Princess hallmarks such as the Wheelhouse Bar, a spacious casino, pulsating disco, wine bar, and two show rooms—a single-deck main theater and a smaller cabaret-style secondary lounge—make sure there’s still something for everyone, even with the comparatively limited real estate onboard. Kids are also catered to with their own private play rooms. Cabins, on the other hand, are relatively small, especially compared with some of the competition. 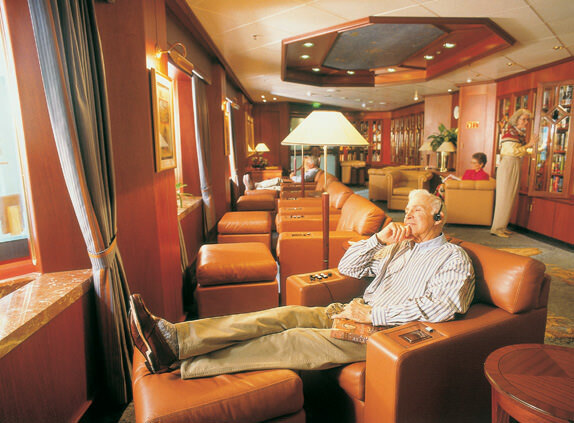 More than 400 cabins have private balconies—an ample number for a ship of this size—and many staterooms can accommodate third and fourth passengers as well. That is just fine, because this is a ship for people who like to travel.